…not the kind of rugby scraps that I’m used to, just regular old scrapbooking!! I love it! When I first got into Project Life I had wanted to go down the scrapbook route but it was all very daunting and the layouts seemed very professional, I brought a tonne of books and then left them on my bookshelf. This week a friend of mine posted a link for an online scrapbook crop on Facebook and I was intrigued, it cost £5 and I was added to a secret group… alas no secret handshake, yet!! 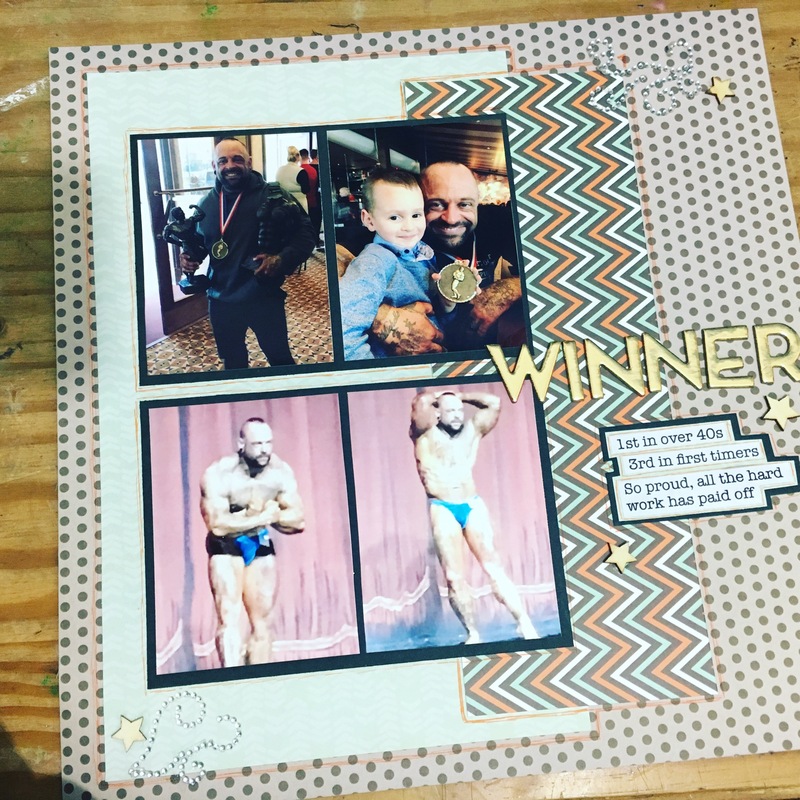 I had 2 photos, from Trevor’s bodybuilding competition last year, that I hadn’t encoperated into a layout yet but really wanted to get documented… my feet got itchy and as a reward for finishing my exam I allocated myself some scrappy time.. Although it’s mid February I’ve yet to start this years album as I couldn’t decide what to use, I’ve brought a smaller SN@P album but as soon as I’d done this layout I knew I wanted to stick with the 12×12 so that I can have a mash up of Project Life and scrap pages. 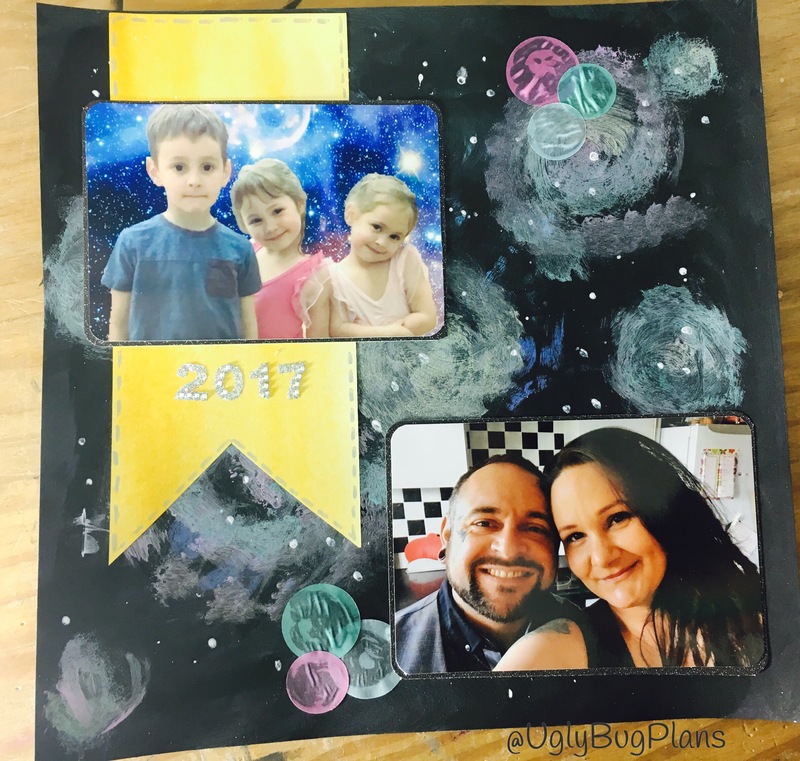 I love that I can be as arty as I want and bring mixed media into the pages, it means I no longer have to decide between art, crafting and documenting our lives. This is the front page to our 2017 album, to view the process video click HERE!